If you want the cheapest possible car insurance policy then you really need to look at the range of insurance group 1 cars available. The good news is that there are more vehicles in this group than you might think. Here are 10 of the best insurance group 1 cars that should help keep your policy costs down. The range of Fiat Pandas covers a lot of different models and a long time period as well. Most of them are rated in the lower reaches of the insurance groups and the 1.1 Active is a good example of one in the very lowest group. As with other cars with a lot of different models, you need to be sure to get an insurance quote on the exact model you are interested in. The Fox was the small car which was sold by Volkswagen before being replaced by the Up. The Up is a better vehicle but if you want cheap insurance then the Volkswagen Fox is still worth bearing in mind. It is probably best viewed as a first car or as a cheap run around for a student. The Citigo is kind of similar to many of the other small, cheap cars on the market just now in that it doesn’t cost a lot to buy, is cheap to run and comes in at insurance group 1. It is a decent choice if you want to build up some no claims discount on your first ever policy without paying through the nose in the meantime. The Chevrolet Spark isn’t the most universally popular of the small, economic cars around but it is a decent choice for low insurance and cheap running costs. The models with a bigger engine or more fancy features cost more to insure than the 1.0. 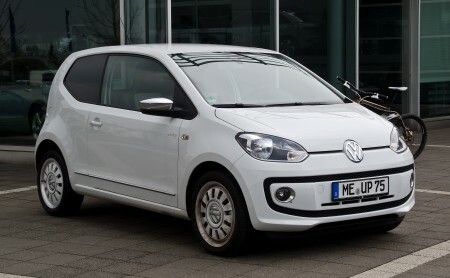 As small city cars go the Volkswagen Up is a bit more costly to buy than some of the competitors. However, it is viewed by many people as being a little bit classier than the likes of the Citigo and the Mii. It is easy to drive and the price of the insurance isn’t going to shock you. The good news for people who like to shop around is that there is more than one Seat Mii which is classed as group 1. It shares a lot of its main parts with the other VW Group vehicles the Up and the Citigo. You need to be careful if you want a cheap to insure Vauxhall Corsa. There are many different models of this car and some of them are rated a good deal higher than the Expression 1.0, which is a group 1 vehicle. As with the Corsa, some of the Ford Fiesta models are rated more highly than others. You can find some which are in group 1 but be sure to get a quote on any you look at before buying. It is a classic choice for an affordable vehicle but some of them are more expensive than most others on this list. This is the old shape of the Renault Clio range but it has stood the test of time pretty well. As group 1 cars go this one handles well and is fun to get around in. As well as being good value to buy and insure, the C1 also has pretty impressive fuel efficiency figures as well. It is more spacious inside than you might think, which is also the case with a couple of others on this list too. Now that you have a list of great insurance group 1 cars to choose from, your next step is to get a quote from a comparison site to see which insurer is offering the cheapest deal. Thanks. I’m getting a Fiat Panda next month. This helps.